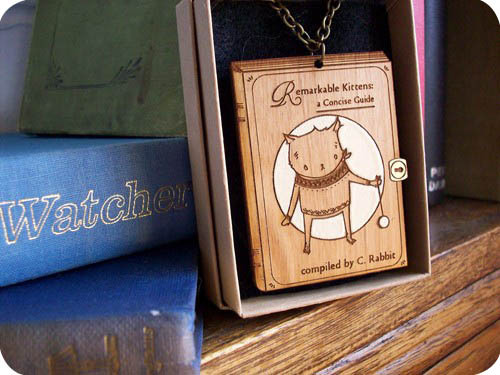 I am loving these lasercut pendants and brooches from Cat Rabbit Plush. I can honestly say I am feeling a little design envy over these! They are available as limited editions of 120 in 3 designs so you better get them while you still can! Owls and Kittens and Bunnies Oh my! No Responses to "AMAZING LASERCUT pendants and pins"